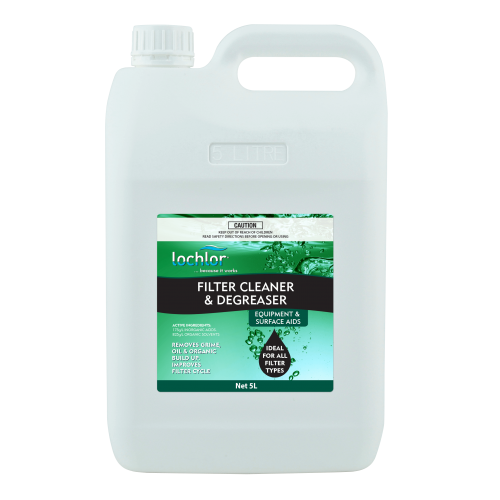 Prolongs life of filter media. Advanced formulations for the cleaning and degreasing of D.E. filters and cartridge filter grids. Also used for all types of sand filters. 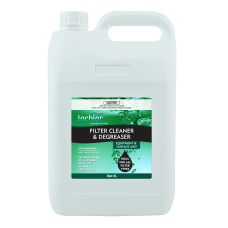 Removes grime, dead algae, oil, organic deposits as well as scale and unwanted metals. • D.E. and Cartridge Filters: Best results will be obtained when the soiled elements are hosed before cleaning to remove as much debris as possible. Also hose well before re-assembly. • Never add this product to pool water. • Lo-Chlor recommend that filters be cleaned regularly. • Sand filters at least twice a year. • D.E. and cartridge as necessary.